DISCLOSURE x SM Accessories Tickets Giveaway! Here's another EDM party you wouldn't want to miss! 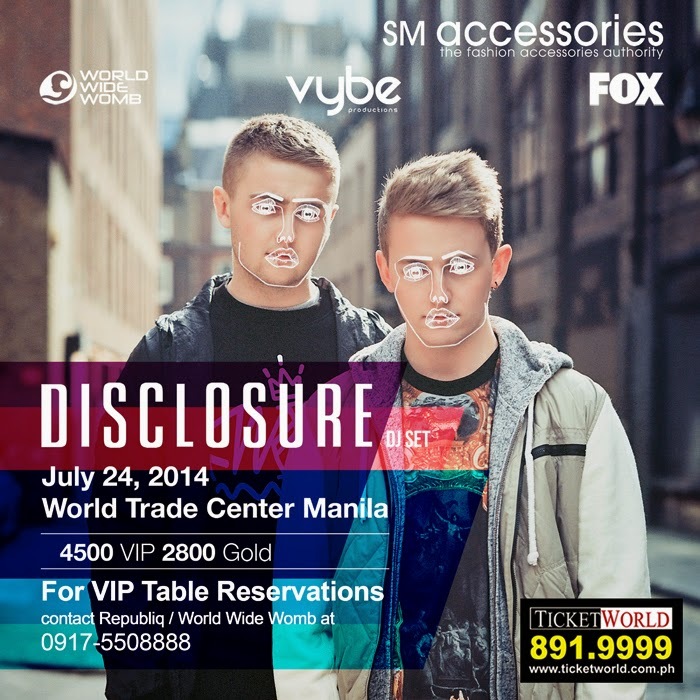 The Electro house duo, DISCLOSURE, will perform here in Manila for the first time on July 24 at the World Trade Center. Once again sponsored by SM Accessories, I'm sure it's gonna be another exciting event! Because SM Accessories love you, I'll be giving away 2 SILVER tickets to this event!!! 4. Leave your Name, Email, Link to your post below. Goodluck! Will announce winner on July 22, 2014. See you there!